Let’s face it. Not every business can afford a daily janitorial services company to help keep their offices clean or evening office cleaners to come by. Today we are going to explore some office cleaning tips that keep being budget minded at hand. Even if the budget is there for office cleaning then you can still implement these office cleaning tips. Just starting to clean your office is a bad plan. Like they say if you fail to plan you just planned to fail. The first thing you should do is create a plan that is specific to your office so nothing gets missed. The first thing you want to take care of is to declutter the office floor. Put away anything that can be put away. Throw away anything that can be thrown away. For example and cups, bowel or anything else that should be back in the staff kitchen should be put back there. Rubbish lying around should be thrown in the bin and any extra boxes that are lying around that seem to accumulate in office spaces should be broken down and recycled. Next, more on to desk cleaning. Make sure all desks are free of all the items that seem to accumulate during the day like sticky notes, pens, pencils, markers, staplers, paper, folders and so on. Implementing an evening clear desk policy is a perfect way to get your staff to do this themselves before leaving for the day. It’s very easy for a window to build up dust and dirt if there is no regular cleaning schedule. It is very east to take a cloth and wipe down the windows. For the actual cleaning, there is no need for any commercial chemicals to be used. An office will have a lot of windows so a jumbo sized bottle of window cleaner can be bought and the windows will be cleaner normally. The outside of the windows should be of no concern to you as the property management company should be taking care of this. Bins need to be cleaned out on a nightly basis. There is not one office on the planet today that doesn’t have staff who eat lunch at their desk. Food will start to smell and rot if not taken care of. Bins can easily get overfilled if not dealt with also. Computers, phones, keyboards, calculators and other kinds of electronics are a breeding ground for germs. A quick wipe down with a cleaning solution and then a sanitiser solved the germ problem on electronics. Next is the staff bathrooms. When it comes to keeping your staff healthy you need to keep toilets clean and sanitised otherwise you might get staff becoming sick quite often. Daily cleaning is required. That is not an option. This is a comprehensive cleaning guide for restrooms you should take a look at and implement. A staff kitchen is no different to a home kitchen. It’s generally bigger and doesn’t have an oven. That’s it. Make sure all the dishes are cleaned. Countertops wiped down. Tables wiped down. Microwave wiped down daily and properly cleaned once per week. The floors should also be swept and mopped nightly. The last thing you want to do is a walkthrough. Simply walkthrough the office and look for anything that was missed and attend to it. Make sure nothing is out of place and everything is tidy. 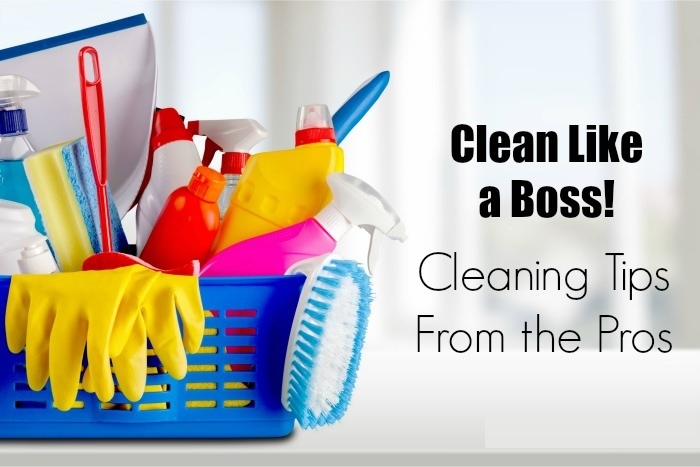 Having a clean office is not just about the hygiene aspect. It also affects staff and the ability to perform. If staff are thinking about they dirty office they work in then it will impact their performance and this will end up costing the business money. Even on a budget, professional office cleaning is something that every business owner should consider. It’s really an investment to keep your staff happy. It is also a good idea to check your office lease to see if you are legally required to employ a cleaning company as if you don’t you might be breaking the terms of your lease. You can also watch this video for more office cleaning tips.